One of the famous mole chillies from Mexico. The fresh chilli is not unlike a bell pepper, but strongly indented at the stem end, and somewhat tapering towards the blossom end. 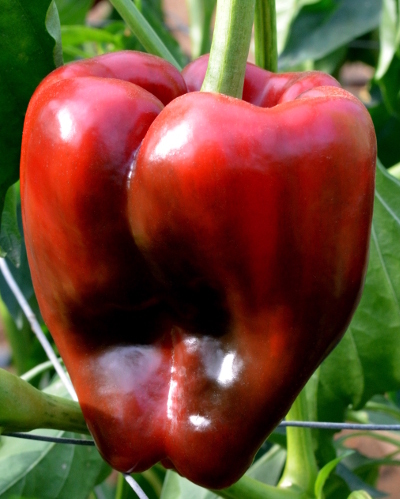 The flesh is not as thick as modern bell peppers, but the flavour is richer and more interesting. Dried ripe Poblanos are known as Anchos, but if the unripe green chilli is dried it becomes a Posado. Fresh Poblanos can be stuffed to make the classic dish, Chiles rellenos. 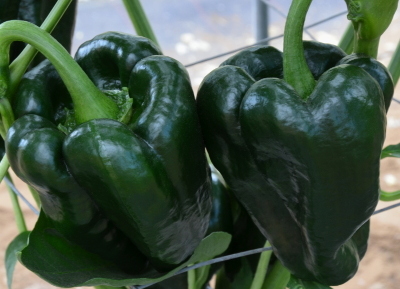 Poblanos can be used to replace bell peppers in general cooking, or sliced to add interest to salads. 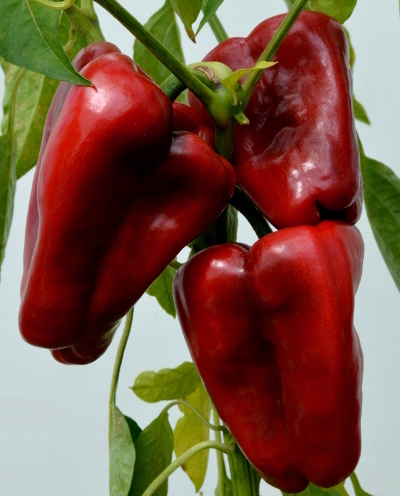 Anchos can be ground to give a sweet mild chilli powder, or soaked and added to stews.